The Diverse Identities in Sport conference focused on the issue of inclusion of transgender, intersex, non-binary, gender queer, asexual and other diverse identities related to gender and sexuality in their intersections with other identities within a sport context, and looked at practice and strategy for inclusion. It looked at a range of pathways but primarily focused on access level, grassroots and recreational sport. The conference was organised in partner with sportscotland, Scottish Transgender Alliance, Centre for Gender and Feminism Studies at the University of Stirling, Glasgow Human Rights Network at the University of Glasgow and Pride Sports UK. Martin is a former international swimmer from Dunblane. He has competed in the 400m, 800m, 1500m freestyle and 5 & 10K open water events. Amongst his many impressive achievements, Martin was a Scottish Champion in 1500m Freestyle, was British Universities champion in 1500m Freestyle, & 400m & 1500m (Short Course) champion. 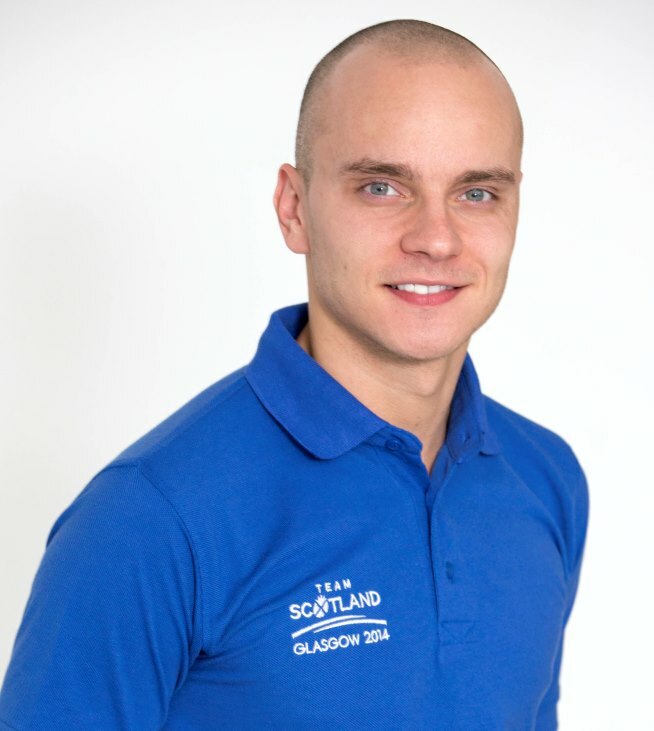 Martin has also represented Team GB and Team Scotland at many events and cup tournaments around the world. Pat Griffin is Professor Emerita in Social Justice Education at the University of Massachusetts, Amherst where her research and writing interests are LGBT issues in education and athletics. She has been an advocate for LGBT equality in sport for over 30 years. She is founding director for Changing the Game: The Gay Lesbian Straight Education Network (GLSEN) Sports Project. She is the former director of the Women’s Sports Foundation’s It Takes A Team project, an LGBT education project. 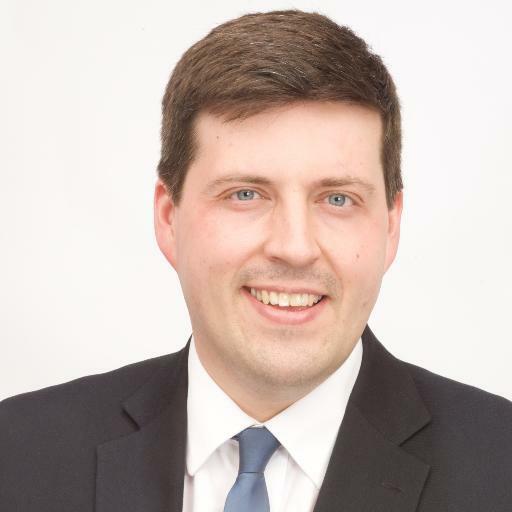 Jamie Hepburn is a Scottish politician who is the Minister for Sport, Health Improvement and Mental Health and has been a Scottish National Party (SNP) Member of the Scottish Parliament (MSP) since 2007, representing Cumbernauld and Kilsyth since 2007. At that stage, he was the second youngest elected member of the Parliament, and took up office as Minister for Sport and Health Improvement in 2014. Dr. Matthew Waites is Senior Lecturer in Sociology at the University of Glasgow. He has authored and edited publications on LGBTI and queer politics in the UK and internationally, including as co-editor with Corinne Lennox of the free online volume Human Rights, Sexual Orientation and Gender Identity in the Commonwealth: Struggles for Decriminalisation and Change (London: School of Advanced Study; available at: http://commonwealth.sas.ac.uk/publications/house-publications/lgbt-rights-commonwealth). 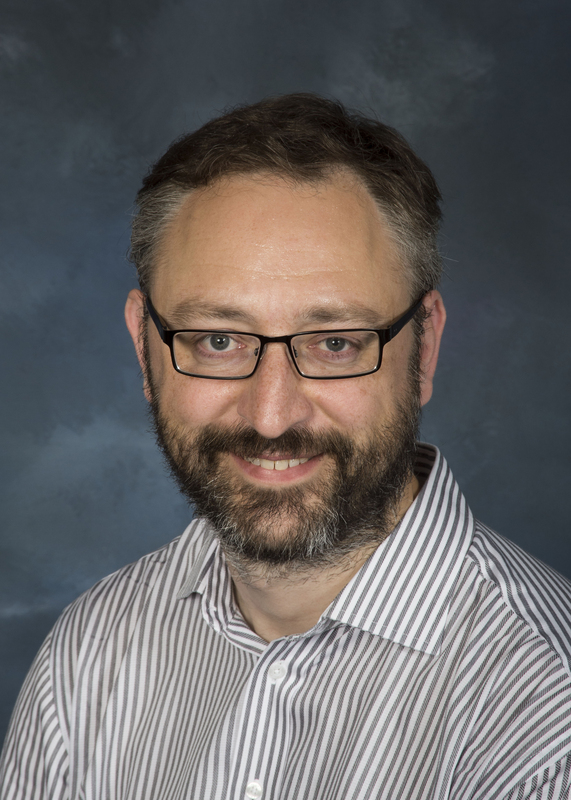 He has co-edited three volumes on the sociology of human rights including a special issue of the British Sociological Association journal Sociology in October 2012, titled The Sociology of Human Rights. 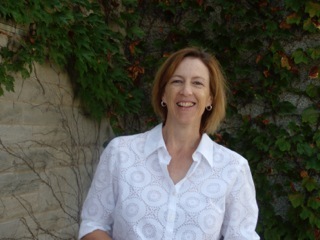 Jennifer Birch-Jones has worked in Canadian sport for many years through her professional and volunteer work. She is the volunteer lead for the Canadian Association for the Advancement of Women and Sport and Physical Activity ’s (CAAWS) Addressing LGBTphobia in Sport initiative and has delivered workshops to make sport more welcoming to those who are LGBTQ throughout the Canadian sport system. Jennifer was the lead in creating Commonwealth Games Canada’s first ever Positive Space for LGBTQ team members for the 2006 Games in Melbourne, Australia and was on the Organizing Committee for the inaugural Pride House at the Vancouver – Whistler 2010 Olympic and Paralympic Games. She remains active in the Pride House movement and attended the 2015 Sport Inclusion Summit hosted by Toronto’s 519 Community Space at the 2015 PRIDE House TO during the Pan Am Games. Jennifer is the author of CAAWS’ recently published Leading the Way; Working with LGBT Athletes and Coaches, a resource which reflects the voices of Canadian athletes and coaches. She is currently assisting the Canadian Centre for Ethics in Sport with developing policy guidance on trans inclusion in sport. Mary Louise Adams is a Professor in the School of Kinesiology and Health Studies at Queen’s University, in Kingston, Canada, where she teaches courses on sport and culture, the sociology of physical activity and the body, and contemporary issues in sexuality. She is the author of Artistic Impressions: Figure Skating, Masculinity and the Limits of Sport and The Trouble with Normal: Postwar Youth and the Making of Heterosexuality. Her current research looks at the relationship between women’s sport and feminism. She is on the programming committee of Reelout Queer Film and Video Festival, and is a longtime board member of HIV/AIDS Regional Services. She is also active in community organizing around the politics of municipal recreation. 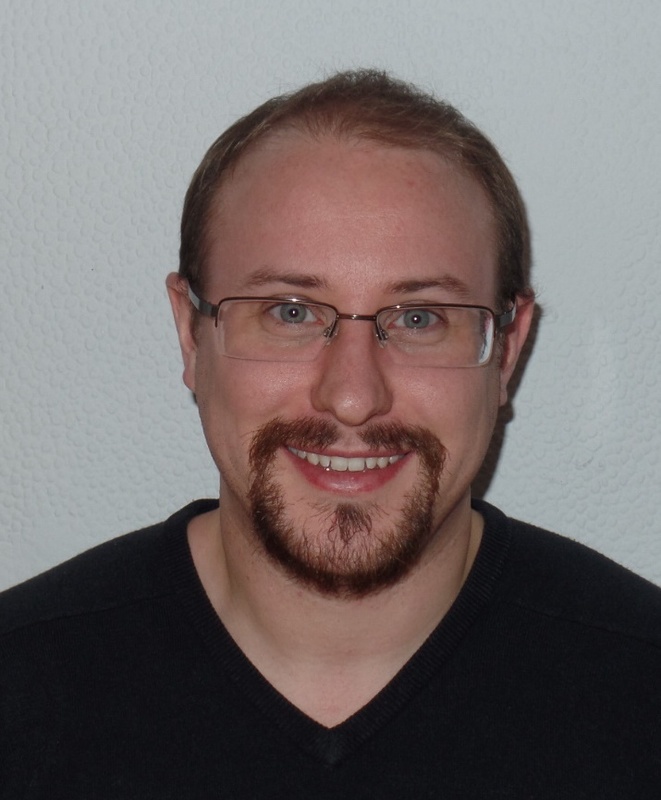 James Morton is the Scottish Transgender Alliance Manager within the Equality Network. Since 2007 his national post has been funded by the Scottish Government to provide training and policy development guidance on transgender equality and human rights. He has worked collaboratively with a wide range of academics, service providers and sports governing bodies in Scotland and the UK to evidence current inequalities and improve transgender rights and inclusion. 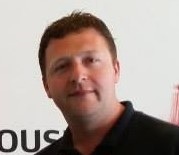 Lou is a leading LGBT sports development and equality specialist, having worked in this field for over 13 years. Lou has co-led a range of research based projects, undertaken by Pride Sports over the past five years. Lou also leads on the advice, guidance and support given by Pride Sports to national governing bodies of sport and has worked extensively with RFL and FA on a range LGBT inclusion initiatives. She is often approached to speak about a range of LGBT inclusion issues in sport and regularly lectures on the topic at UK universities. 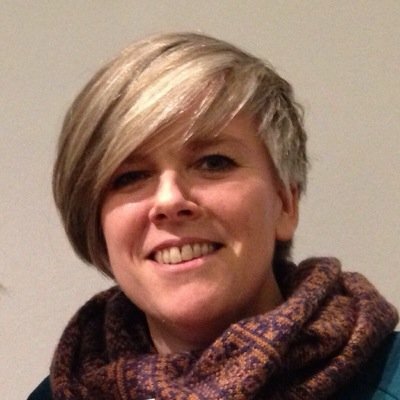 Lou is also an experienced event manager, developing and managing not only a range of LGBT sports initiatives, but also Wythenshawe Games, an annual sports festival delivered in one of Manchester’s most disadvantaged communities, which sees more than 9,000 local people take part every year. Lou is a former board member and Co-President of the European Gay and Lesbian Sport Federation and currently sits on the board of Manchester Community Games. 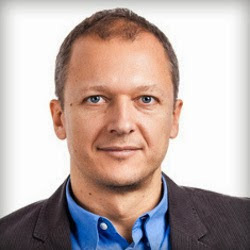 Boris Vrdoljak is a coordinator of sport activities in qSPORT Zagreb, a sports society for LGBTIQ athletes and recreation enthusiasts, where he directs regular swimming and ballroom dancing activities, the annual QueerSport Weekend event and qSPORT members’ competition travels. In 2015, he organised a panel discussion “Trans* and inter persons in sport” in Zagreb. Boris is also a qSPORT delegate and representative in national LGBTIQ campaigns and an organizer of activities in Rainbow Families Croatia. Sylvia has been researching transgender social practices and identities in Scotland for the past six years. This may result in a PhD in Sociology at the University of Glasgow in 2016. She was raised in South Africa, where she taught in township schools during the final years of the SA Anti-Apartheid struggle, then post liberation she taught English Literature at Vista University. For much of her life it has felt necessary to be a human rights and LGBT activist. She has degrees in Sociology, English Literature and Education from Universities of Cape Town, Witwatersrand and Pretoria respectively, and has always worked full time while studying. She was awarded a Fulbright Scholarship in 1999 to the Institute for Learning Technologies at Columbia University NYC, which culminated in an M.Ed in Information Technology in 2001. She also acquired an M.Phil in Scottish Studies from Glasgow University in 2010, out of which ensued the publication of her book: The Crisis of Capitalism in Interwar Glasgow in 2012. 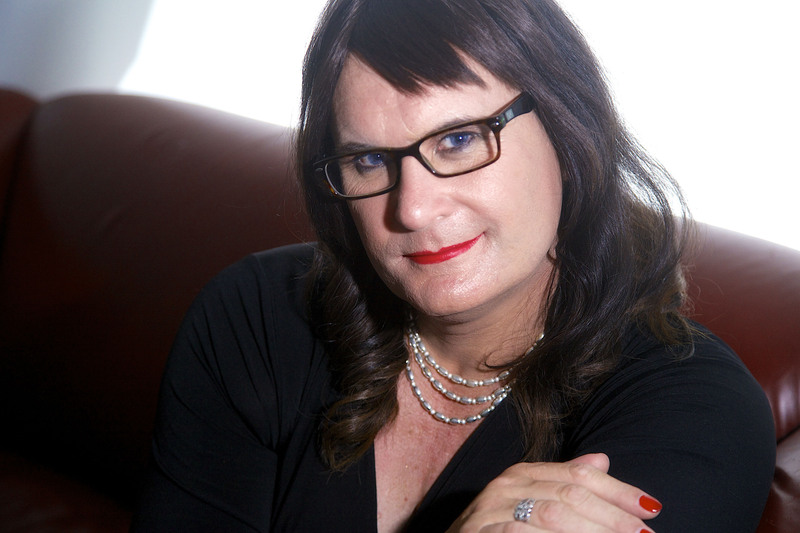 Ex-RAF, motorbike racer, newspaper editor, rock photographer, self harm and suicide survivor and the first transgender woman to work in the Premier League. Sophie Cook speaks regularly about the fears that controlled her life and how she overcame them to be true to and, finally, start loving herself. From her childhood memories of being transgender to post traumatic stress after an incident when serving in the Royal Air Force and a lifetime of pain and fear before finally coming out as transgender in the masculine world of Premier League football. 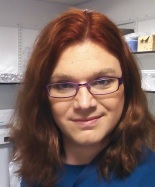 Sophie is a Patron of Just A Ball Game and the LGB&T Dorset Equality Network, a Healthwatch Dorset Champion, and a member of the Pan-Dorset LGBT Health Advisory Group. 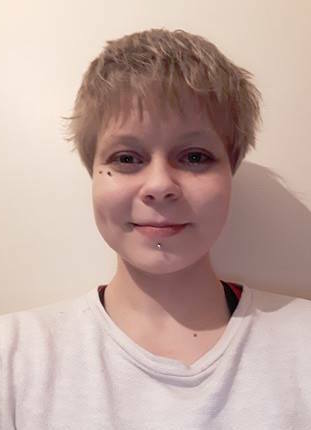 Sonja Erikainen is a doctoral researcher in sociology at the University of Leeds, focusing on the sociology of science, knowledge production and gender. Her research examines the history and contemporary practices of gender verification of female athletes in elite sport, with emphasis on the ways which definitions of ‘female’ in sport are produced through the exclusion of intersex and trans* bodies. Louise has over 25 years’ experience in local authority sports development with three local authorities and with two national governing bodies of sport. A skilled trainer and facilitator, her key specialisms include supporting many public sector sports organisations to be the best they can be by improving their practices relating to equality, inclusion and tackling discrimination as well as strategic planning, business development and corporate governance. Louise is currently supporting a number of organisations to develop their equality work, including all of the SGB’s across Scotland, the Football League and Premier League Clubs in England, the NGB’s across Wales and several UK wide NGB’s. As part of this work she is delighted to have authored several guidance documents, many of which are available for SGB’s and other bodies to use today. 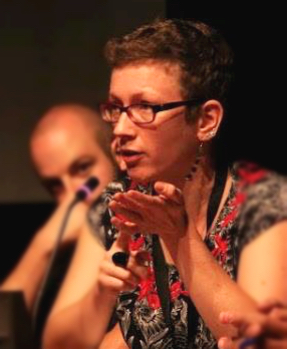 Helen is Coordinator of SQIFF (Scottish Queer International Film Festival) and co-founded Lock Up Your Daughters Filmmaking. 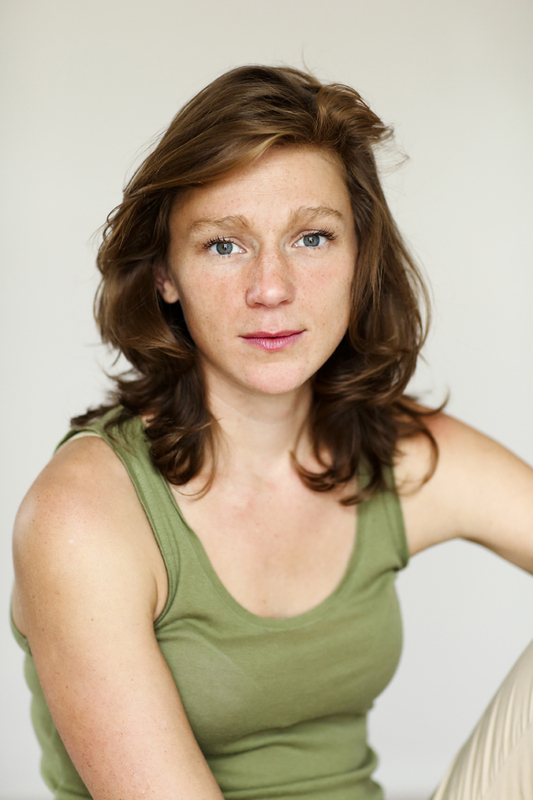 She has previously worked as a film critic writing about cinema and queer politics. Claudia Krobitzsch is Programmes Co-ordinator at the Fare Network, an international umbrella organisation tackling discrimination and promoting social inclusion in and through football. She works closely with the members of the network in over 40 countries, coordinates Fare’s annual programme and manages the Football People action weeks, with over 2000 events the largest intervention for social change in football in Europe. Claudia has been an anti-racist campaigner with Roter Stern Leipzig, a grassroots club in Germany, for more than 10 years. 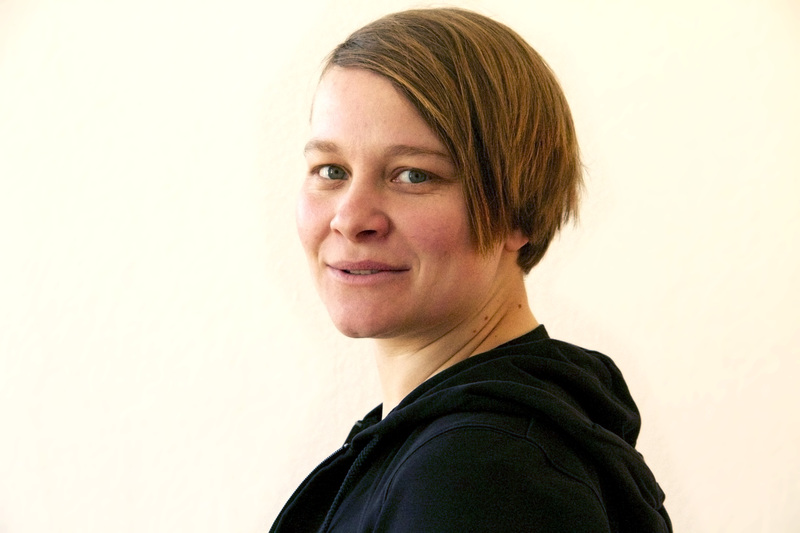 Sophia is a life coach in Berlin, who works with body-based therapy and personal fitness training to help people make changes in their lives. She has been part of DF since 2015, and plays football along with Pia in DFC (DISCOVER FOOTBALL Club), a self-organised women*‘s football club founded by DF, which also uses football to challenge sexism and homophobia. Pia works as a social worker in Berlin, supporting trans*, inter* and queer people. She has played football since she could walk and has her own experience of how women*‘s football can be used to challenge gender stereotypes. Since 2011, Pia has worked on a voluntary basis with DISCOVER FOOTBALL (DF), an organisation that uses women*‘s football as a tool for working against discrimination, especially sexism and homophobia, and also for promoting women*‘s rights. DF works on an international basis, creating a network of like-minded individuals and organisations. Maja is a queer, non-binary community worker with experience in community building and organising both in Glasgow and Berlin, where they first came into contact with feminist self-defence practice five years ago. Since then Maja has trained in Thai boxing with varying intensity, with the odd excursion into boxing and krav maga. Maja is interested in setting up an autonomous peer-led combat sports group for women, trans and intersex folk in Glasgow. 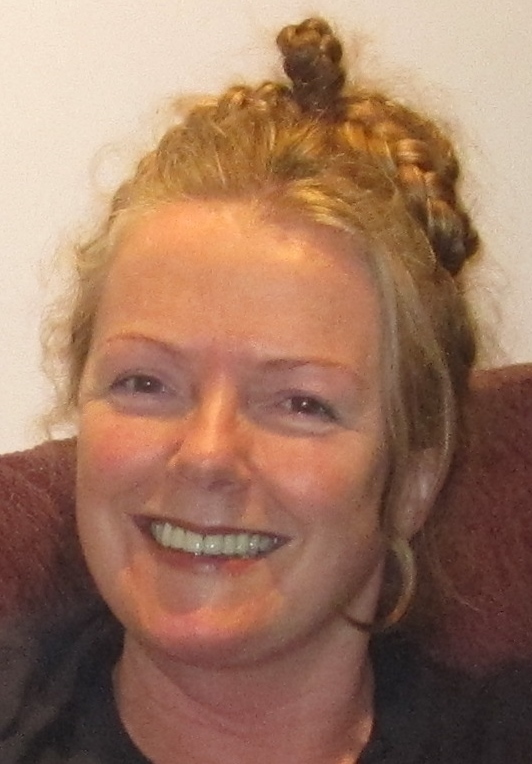 Dr Charlotte McCarroll is a research associate in cardiovascular physiology at the University of Glasgow. In her spare time she enjoys many active pursuits including hillwalking, cycling, snowboarding and in particular swimming. She is a transgender woman who in early transition found it very hard to be able to go swimming through fear of transphobia in changing rooms and gender dysphoria diminishing her body confidence. Charlotte co-founded the group Seahorses Swimming in Glasgow with Kate Adair for trans and non-binary identifying people to be able to swim in a safe space. Charlotte has taken part in the film ‘Let Me Be Brave’ to be shown at the Diverse Identities in Sports Conference. Sadie is a retired police officer with a long time passion for sport, a former tenpin-bowling coach and has been active for more than twenty years a player of lawn bowls. Sadie used to live in Germany, and has represented that country on the bowling green and in the short-mat game. 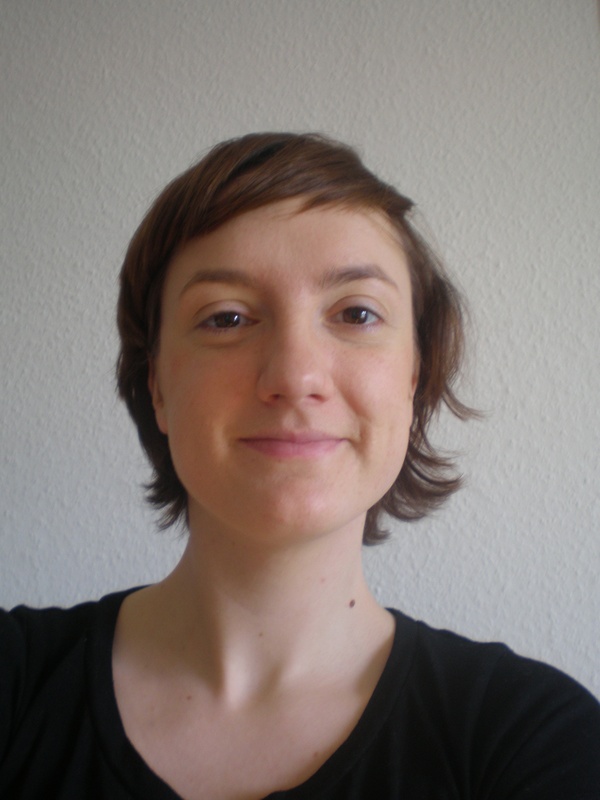 Sadie speaks, reads and write German, however is a native speaker of English. Sadie is transgender, and currently enjoying the journey life is presenting them with.